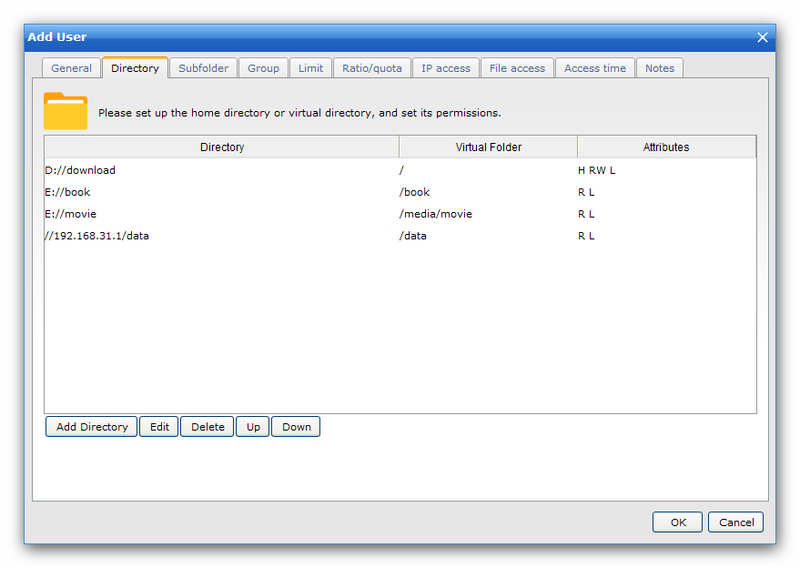 Directory access rules define the areas of the system that can be accessed by this user account. Add a directory to this user. It can be a home directory or virtual directories. If added as a virtual directory, the local physical directory will be shown to user as a virtual directory. For example, "D:/book" will be shown as subdirectory "/book" and "E:\movie" will be shown as subdirectory "/media/movie" (suppose you have a subfolder "/media" under the home directory). Change the order of directory.